What Horse Form Should I Use? Review our horse forms descriptions and view our available equine contracts and liability releases to determine which form is right for you. Still not sure? Try our Forms Selection Tool to help you select the right form. If you still have questions, fill out our online Forms Support Contact Us form and we’ll be happy to answer them. What If I Don’t See the Horse Form I Need? If you don’t see the horse contract you need in our selection of available equine forms and you live in California, Oregon, Washington or New York, we’d be happy to discuss creating a customized horse contract for you. Start our consultation scheduling process to discuss your needs by filling out our online form. Do you have a great idea for a new form? Find out how to get free equine forms. What Format Are the Horse Legal Forms In? Our forms are PDF files with fillable fields and check boxes. When you purchase our equine legal forms, we will send you an email link to download the files. You will need Adobe Acrobat Reader software, or another compatible PDF reader, to view and enter text in our forms. To make sure you can take advantage of all features, especially the fillable, savable features, update your Adobe Acrobat Reader software before downloading our horse forms. Download the latest free version of Adobe Reader. Can I See the Horse Contracts Before I Purchase Them? No. We don't post copies of our horse agreements on our website because that would make it easy for website visitors to simply copy them from our website without purchasing them. Instead, we have a detailed What's In our Forms section that lists the various clauses contained in each equine agreement. I Don’t Feel Comfortable Using My Credit Card on the Internet. Can I Order a Form By Phone Instead? Sure! We are always happy to take telephone orders – just call us toll free at 866-385-2972. Our business hours are generally Monday-Friday, 9:00 a.m. to 5:00 p.m. Pacific time. I Didn’t Receive the Email with the Download Key and URL. What Do I Do? First, refresh your email inbox to make sure that you have all of your new email. Then, check your spam filter or junk email folder for our email. The subject of the email is Your Forms From Equine Legal Solutions. If you still don't see it, please complete our online Forms Support Contact Us form. If your email program has a “safe sender” feature, make sure to add info@equinelegalsolutions.com and techsupport@equinelegalsolutions.com to your safe senders. Are you a Yahoo email user? If so, please check your junk email folder in Yahoo, find our email, and mark it as “Not Spam.” Because many spammers mark their emails with dates in the future, make sure you look for our email under the date when you purchased your horse forms. If you find our email in your Yahoo junk mail folder and have a moment, please file a complaint with Yahoo to prevent future valid emails from being routed to your spam folder. Can I Edit the Horse Liability Releases and Contracts Myself? Each of our equine legal forms has been drafted to allow for some customization, with check-boxes and lines for customers to fill in information. However, the actual text of forms cannot be altered – see our License Agreement. At Equine Legal Solutions, we see firsthand the disastrous results of non-lawyers trying to create or edit their own horse contracts. What If I Need to Edit the Horse Contracts? When designing our equine legal forms, we try very hard to include options that allow our customers to tailor the forms to their individual needs. However, you may have a transaction or situation that is relatively unique, and therefore, our forms may not meet your needs exactly as written. For customers who reside in California, Oregon, Washington or New York, we can offer the option of a customized equine contract, and we will credit your forms purchase price toward the cost of a customized contract. Please note that our equine forms are copyrighted, which means that you cannot retype them and then make changes to them without our permission. I’m an Attorney – Can I Use These Forms for My Clients? Although Equine Legal Solutions has a large number of attorneys among its customers, our License Agreement prohibits attorneys from using our horse legal forms except for their own personal transactions. For example, it’s not permissible to purchase one of our horse sale contracts and use it as a template to create another document. Can I Post Your Equine Liability Releases and Agreements on My Website? No. Because posting our copyrighted equine legal agreements on an Internet website makes it easy for the general public to view and copy them, our License Agreement prohibits customers from posting our agreements, or any portion of them, on any Internet website. For customers who want to allow their own clients easy access to the forms they have purchased, we recommend simply placing a button on your website where the client can email you and request a copy. Sending a copy of the form to a client as an email attachment is permissible. Why Aren’t Your Horse Legal Forms Offered in Microsoft Word? At Equine Legal Solutions, we have observed that problems often arise when non-lawyers edit contracts themselves. For example, non-lawyers often delete liability release provisions and clauses providing that the winner of any dispute can collect attorneys’ fees from the loser. By delivering our horse forms in a PDF, we are trying to help ensure you will not delete any provisions designed to protect you. Will Your Horse Contracts Work in My State? Our current horse contracts and liability releases are designed to work in all 50 states, which means that they are not customized to your state in particular. If your state has an equine activity statute, for example, you would want to attach a sheet to our horse liability release form containing any language your state's statute might require (in addition to posting any signs your state's statute requires). Otherwise, you will be able to specify in our horse contracts and liability releases that your state's law will apply to any disputes, and that any disputes must be litigated in your home county and state. You can find detailed information about Equine Activity Statutes on our website. Can I Print Your Equine Contracts on My Letterhead? Yes, but we must review and approve the proposed use prior to printing. Please complete our online Forms Support Contact Us form and we will be happy to discuss this with you. Can I Put My Equine Business Logo in the Header? Can I Put My Horse Business Name on the Form? Yes. Our equine legal forms have a designated space at the top of each page where you can insert the name of your equine business. Can I Make Copies of Your Horse Contracts and Liability Releases? Many of our customers find it easiest to fill in the information that applies to every transaction (such as their name and address), and then save the filled-in form. Then, they can print copies of the filled-in form for use as needed or email them to clients who need to fill them in. How Many Times Can I Use the Equine Contracts and Liability Releases? Once you have purchased an equine form, you may use it as many times as you like for your own personal and equine business use. Our horse forms are copyrighted, however, and therefore you cannot provide them to others for their use. See our License Agreement for details. Are Your Horse Contracts Current? We are continually updating our horse contracts, liability releases and agreements, and your horse forms purchase includes free equine form updates. Why Are Your Equine Contracts More Expensive than Other Forms I Found on the Internet? Simply put, you get what you pay for. Review our equine forms and you’ll see how comprehensive and thorough our equine contracts and liability releases are. Why Aren’t Your Equine Liability Releases and Contracts Free? On the Equine Legal Solutions website, we offer a lot of free horse information, including our downloadable comprehensive Horse Buying Checklist and The Legal Equine, our free email newsletter, so why aren’t our equine legal forms free, too? The simple answer is that offering free information is expensive – site design, web hosting, maintaining an email database and developing new content all take time, effort and money. With your equine legal forms purchases, you help ensure the continuing availability of our free equine resources. We also spend a lot of time, effort and money to develop each form, and offering the forms for sale helps recoup our costs. If I Buy a Horse Legal Form, Can I Share it With My Friends? No, unless your friends are your customers that will be signing the contract or release form. All of our horse legal forms are copyrighted, and you cannot sell or otherwise distribute them except for your personal and business use. See our License Agreement for details. If I Buy an Equine Form, Can I Use It For More Than One Transaction? Yes. For example, if you purchase the Simple Equine Sale Agreement, you can use that horse sale contract form for as many horse sales as you like. See our License Agreement for details. I Live Outside the U.S. – Can I Use These Horse Liability Releases and Contracts? Because we developed these equine legal forms specifically for U.S. residents, the forms may not be enforceable outside the U.S. or comply with other countries’ legal requirements. We recommend consulting knowledgeable legal counsel in your home country. 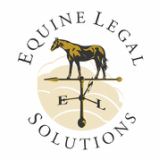 What If I Need Help Using the Equine Contracts and Liability Releases I Purchased? All of our horse contracts and liability releases include comprehensive, step-by-step Instructions & FAQs to help ensure that you understand the agreements and fill them out completely and accurately. If you need further assistance, please complete our online Forms Support Contact Us form and our expert staff will answer your questions as promptly as possible at no charge. How Many Pages Are These Horse Contracts? Our attorney says, “When a person is sued, they don’t care how many pages their contract was – they want to know whether it contained the language they need to protect them.” Well-drafted, legally enforceable documents are rarely short, particularly when they concern a complicated transaction. Because we strive to make our horse contracts and liability releases as complete and comprehensive as possible, and we offer a lot of options for customers to cover contingencies, our equine agreements are often a bit on the long side. However, to help the average reader use and understand our horse contracts and liability releases, we avoid “legalese” and “boilerplate” clauses and try to write our legal forms in plain English. We also use fairly large type to make sure our horse contracts and liability releases are easy to read. Do I Really Need All the Stuff in These Horse Contracts and Liability Releases? We have developed our equine legal forms as a result of decades of practice in equine law. We have seen firsthand what can go wrong in horse transactions, and we want to help you avoid those situations. Every clause in our horse contracts and liability releases is included for a good reason. What If I Buy Your Horse Forms and am Dissatisfied? We offer a money-back guarantee – see Our Forms Guarantee. What If I Still Have Questions about Your Horse Legal Forms? Please complete our online Forms Support Contact Us form and our qualified staff will answer your questions as promptly as possible at no charge. *Equine Legal Solutions is a trademark of Equine Legal Solutions, PC.